Yeah, turning 20-something is great! But when one’s 50th birthday arrives, people instantly start feeling old and serious. Luckily, age is not a reason to stop having fun. “Why so serious?”, you might ask yourself when preparing to buy a gift for a special friend or a family member who’s about to turn 50. Why not celebrate the moment by finding some funny and original 50th birthday gift ideas? Let’s face it, people in their fifties have probably already received all types of serious gifts possible. So, seriousness aside, let’s go shopping for funny and original gifts, and find the right present with these 50th birthday gift ideas! An inflatable walker makes for a funny prank, especially if the person in question is far from looking, feeling, or acting old. 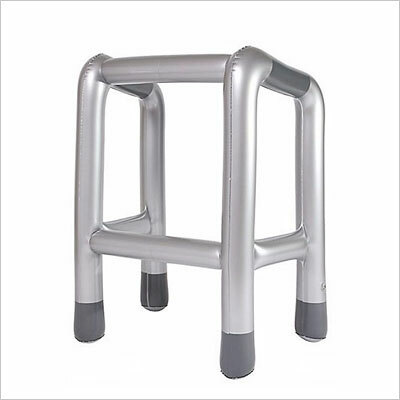 The inflatable walker may be offered as a gag gift for people complaining about getting old. It makes not only a great 50th birthday gag gift, but you can also offer it as a funny retirement present. Guys, hear us out on this one, because, let’s face it – at 50, you’re not getting any younger. 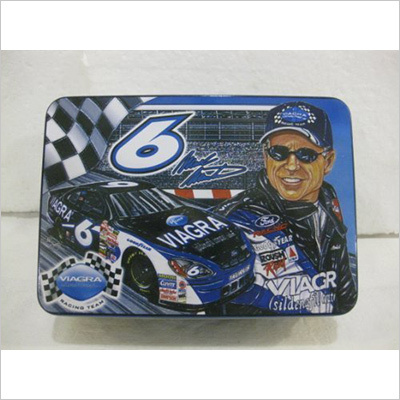 This tiny Viagra tin is affordable, compact, humorous, and perfect for storing breath mints, ear plugs, paper clips, and, of course, those magic blue pills. Not to mention you’ll be eliciting quite a few laughs and quizzical looks with this conversation-starting piece. Alternatively, you can gift your lady friends a similar tin for pills against hot flashes! As one approaches middle age, the chances of having lived through a nasty break-up and/or divorce (or even several!) increase exponentially. If your 50-year-old friend has a relatively dark romantic past, then this revenge voodoo doll might be just what they need to get them smiling again. 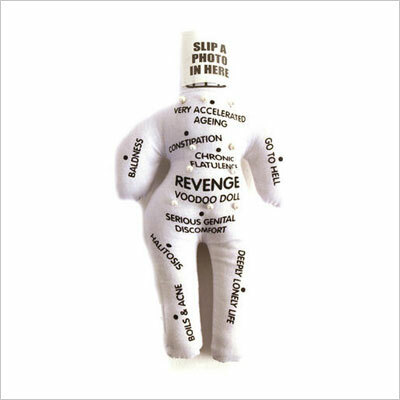 As they say, “don’t get mad – get even!” The Voodoo doll is one of the funniest 50th birthday gift ideas for men and women with a dark sense of humor. It’s probably the ladies who will empathize with this item on our list of funny 50th birthday gift ideas. The truth, however, is most people develop a snoring habit as they age. So, this funny glove can work as a 50th birthday gag gift for both men and women. You can offer it to your parents or in-laws. 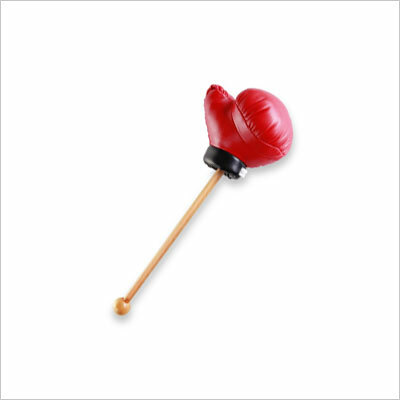 When all else fails, when nose plasters, chin straps, and old wives’ treatments for snoring just don’t cut it, the Snore Stopper boxing glove might do the trick. How to use it: simply punch them. Punch them when they least expect it. They will literally not know what hit them. Why are most of these so negative? I would tell anyone who gave something like that to GTFO of my party. You should give them fun, positive things to celebrate life. ““20 Funny 50th Birthday Gift Ideas. Only For People With Humor | TenMania”? When I turn 50 I want all of these! They are so cool and some of the most unique gifts around! I think the inflatable walker is the best gift idea ever! Both of my parents are coming up on their 50th and I now know what to get them.